The 2018 Jeep Cherokee has quickly become known for its indomitable off-road performance, and yet safety features are just as impressive. In fact, the new Jeep Cherokee includes over 70 available active and passive safety and security features, so peace of mind has never been stronger. They cover everything from semi-autonomous parking to traction control, granting the vehicle the ability to excel with equal grace across dense urban jungle and uncompromising backcountry trail alike. You’ll find yours waiting in the showroom here at Don Johnson Motors. Includes Blind Spot Monitoring, Rear Cross Path Detection, ParkSense Rear Park Assist, Power Multi-Function exterior mirrors, and heated exterior mirrors. Includes Adaptive Cruise Control, Park Assist, Forward Collision Warning with Active Braking, Rain-Sensing Windshield Wipers, and LaneSense Lane Departure Warning with Lane Keep Assist. A comprehensive array of airbags activates intelligently upon impact to keep you and your passengers fully protected from harm. 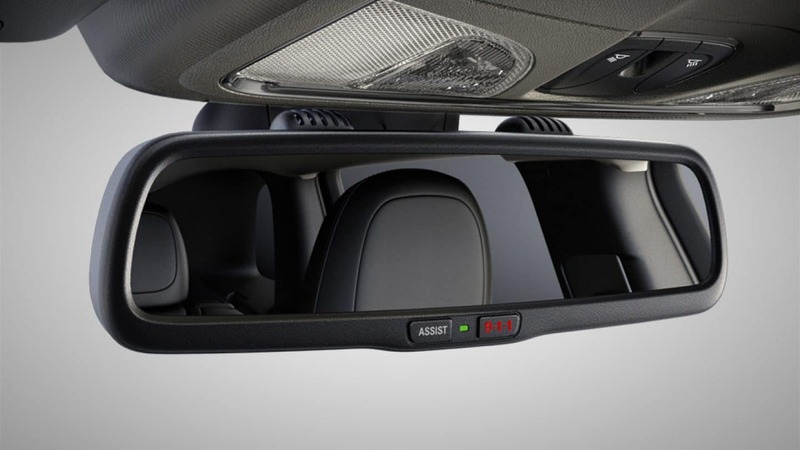 ParkSense Front and Rear uses four sensors in the front and rear fascias to alert you if you get too close to obstructions. The 2018 Jeep Cherokee has been built tough, so it can offer both the self-assurance to head across rough off-road trails and the peace of mind required for everyday driving with the entire family aboard. With its robust high-strength steel body structure optimizing crash protection while enhancing control, the new Cherokee keeps you in command of your ride and protected from injury in the unlikely event of a collision. There’s even an available 9-1-1 Call button that can connect directly to emergency services and speed assistance to your location. Of course, the Jeep Cherokee’s extensive safety systems are designed to help prevent such situations. Beyond the attention-grabbing driver-assistance technology mentioned above, the vehicle includes Electronic Roll Mitigation, Hill Start Assist, and a ParkSense rearview camera as standard across all models. Whether cruising between Rice Lake, Hayward, and Cumberland or setting out into the backcountry, the Jeep Cherokee lets you travel in confidence. Whether you’d like to discuss financing options, talk about trim levels, or find out more about safety, simply contact Don Johnson Motors and ask about the 2018 Jeep Cherokee.